You guys, I have no soul. I am more of a 'go see something that creeps me out' kind of guy so this 'feel good kind of movie' had close to zero appeal to me. I was very pleasantly surprised. I had that 'good feeling' come up many times during the movie and I thought overall it was very well done. Harrison Ford rocked it as the manager. 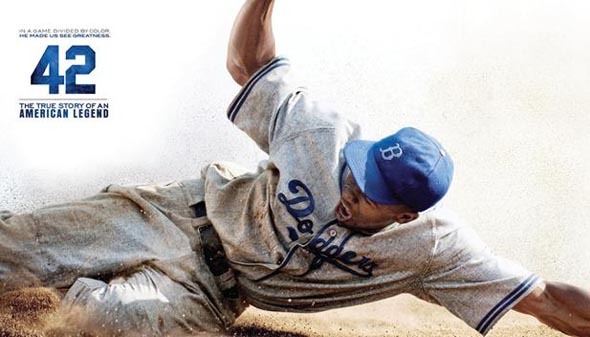 Chadwick Boseman played a very convincing Jackie Robinson also. Ok but side note...THE LADIES BEHIND ME WOULD NOT SHUT UP. Some would say it was cute but it was so annoying. "Oh they are just so mean!" "Oh that's just great, isn't it?" Seriously it was so annoying. I will never go to a feel good movie again. Just kidding it was good. Best movie ever? Best movie ever. 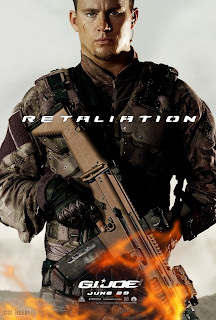 Now, let's talk about GI Joe Retaliation. I loved it guys. I recommended the first movie to everyone and everyone laughed at me and so goes numero dos. I will recommend this one to you and will appreciate the laughs after you see it and hate it but-- I. Loved. It. 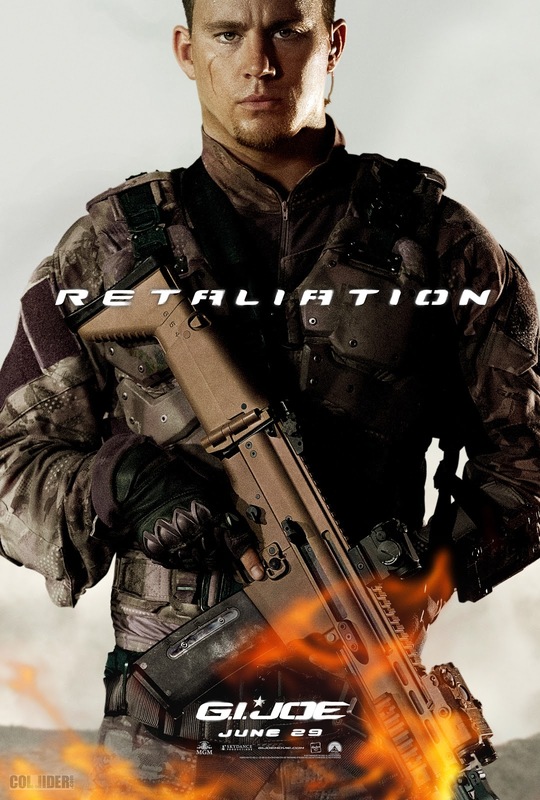 You may notice on the poster above that this movie was supposed to be released on June 29th. Remember how it wasn't? Remember how the world had to wait until freaking MARCH?! But then I didn't and it I'm still here. Tyra from Friday Night Lights oh my goshhhhh. Anyone who hates this movie obviously doesn't enjoy life. 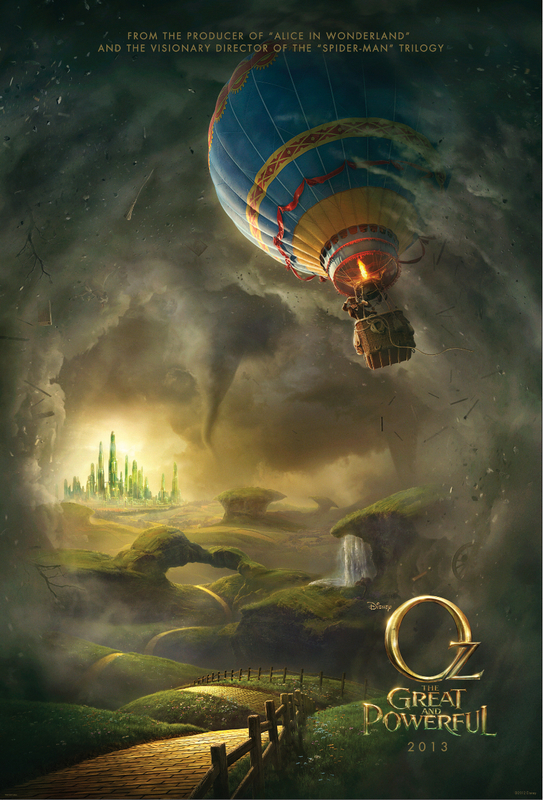 Oz-The Great and Powerful comes out today. I saw it last night. That's how I roll. Too bad I need to start out with a mini vent. So I know that Warner Bros owns the rights to The Wizard of Oz, so Disney had to be careful not to steal any of their rights but it's getting a little ridiculous. I mean this movie WAS a prequel to The Wizard of Oz without it being the prequel. It's just a bummer that they couldn't say words like 'Dorothy'. I mean, come on. Ok, that being said. Wicked is much better than Oz. But I liked this movie. My friend I went with---yeah I don't think she liked it as much. I dunno. I felt like a child laughing at all the childish jokes. It was a fairly predictable movie, but I still enjoyed it. It kind of reminded me of Willy Wonka land. Oz was just so cool looking. I think I'm going to visit one day. I DO have something to say about the 3D. I accidentally showed up to a showing that was for 3D only. I usually hate 3D. However, this was the best 3D movie I have seen since Avatar. I know what you all are thinking..."Ok you are stooopid Justin." But I mean it! Like they would throw things at the camera and I would flinch. It was pretty neat. I don't think the movie would have been the same in 2D. It kind of reminded me of the Justin Bieber Never Say Never 3D movie. WAIT! I mean the Katy Perry 3D movie...but I digress. Oz...worth it? James Franco is pretty much a terrible actor. Is he good in anything? Someone remind me please. Mila Kunis--meh not her best. Michelle Williams was aight but pretty boring. Rachel Weisz was the best in the movie. She actually acted like she wanted to be in the movie. I guess I mostly liked the scenery and the 3D. Other than that it wasn't anything incredible, but I still enjoyed it. I love movies. And sour patch kids. It was called to my attention by my many fans out there that I haven't really been updating my movie blog lately. Sorry. I have been sooooo busy dating. Anyways, I have seen plenty of movies this year. Still love them. The latest one I saw was The Last Exorcism But Not Really. 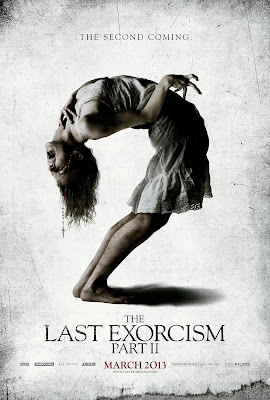 Or in other words, The Last Exorcism Part II. I loved the first one. What can I say? I am a sucker for scary movies. I was excited for this one because I had no idea how they would pull off a sequel. Well, this is how they did it guys...spoiler alert...have possessed girl walk around the house for two hours and get repossessed. Dummmmb. I was not scared at all. Well, she is pretty ugly, and that was scary. She is less scary when she isn't possessed. I read the book Carrie by Stephen King last year and they totally had some copy cat moments from that in this movie so I was unimpressed. Definitely not worth it. Still would rather go watch this over exercising though. See what I did there? Supposedly he is taking material from Tolkein's other novels, but I still don't think this whole three novel thing was needed. 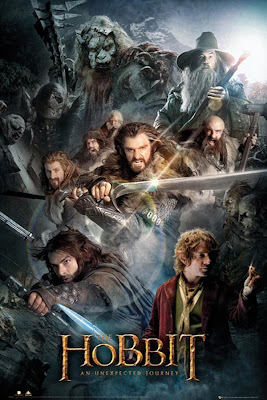 But I'm not a die hard LOTR fan so, maybe this whole Hobbit trilogy is like a dream come true. I mean, I didn't HATE the Hobbit movie movie movie. I regret not seeing it in the HFR 3D. Did anyone see it in the 'controversial', new 3D? I'd be curious to see if it is cool in that 3D. Bilbo- He was funny. Have any of you guys watched the BBC series Sherlock? He plays Watson. I recommend it. The Orcs- I have always loved the orc battles. Talking, talking talking- so much talking. Singing, singing, singing- weird dwarf songs are just weird. I don't get it. Walking, walking, walking- yeah, we get it, there's a lot of walking. The only point to making this in to three movies is for the money. More power to you Peter. Happy New Year. Year. Year. I'm honestly speechless. This was the best movie I have seen this year hands down. There will be those who disagree with me, obviously, but I will tell you why I loved it so much. First off, this was one of the saddest movies I have ever seen. The title translates into 'The Miserable' or 'The Wretched' and that is what we see on screen. We see story, after story of sadness and death, and we can't help but feel for each and every character. The live singing is the ONLY way to go from now on for Broadway to film adaptations. It worked. I have read a lot of negative reviews before seeing this movie and I was worried that I would be turned off by all of the 'talky talk' singing. Heck to the no. 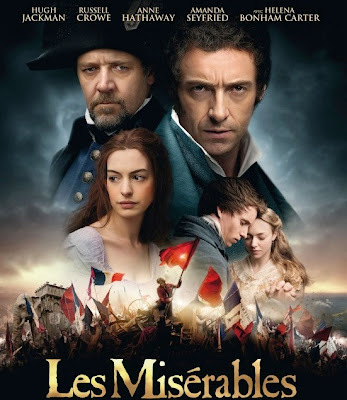 Hugh Jackman conveyed and sang every emotion perfectly as Jean Valjean. Marius was phenomenal. Eponine was great. We all hate Cosette, but that bug-eyed Amanda Seyfried did just fine. Helena Bonham Carter and Sascha Bara Cohen were great comic reliefs as the inn keepers. 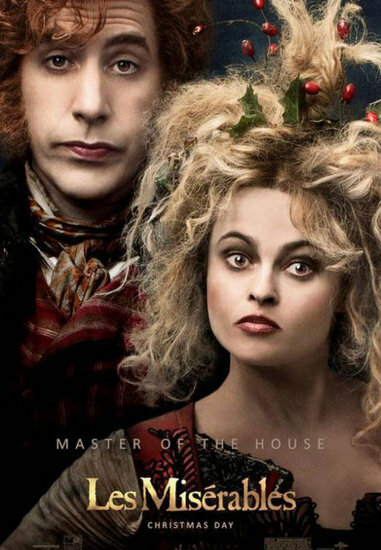 However, this movie was EPIC because of Anne Hathaway's portrayal of Fantine. The theater sat in silence as she sang 'I Dreamed a Dream.' You could hear sniffles around the theater. This girl was not acting, she was living the part. This was pure Fantine on screen. I have never seen acting like this in my life. I was amazed at how much each of the actors embraced all of their roles. You could just tell they were all giving their 110%. Guh....except for that Russell Crowe...I think he was giving like 200% and he was still falling short. He still did fine though. He didn't ruin the movie for me or anything. It was almost comical sometimes watching him try so hard. He gave an emotional performance of 'Stars' though. I know that many people will want to compare the singing to the Broadway production. Some may say, "Well, it IS a musical after all come ON!" Yeah, well I have seen Les Mis and heard Les Mis sung 100 times. I just want to say that for the first time, I felt the emotion of each song. The director, Tom Hooper, made sure to zoom in and pretty much just keep an up close shot of each singer as they sang live into the camera. It worked. I felt their emotion and felt the emotion as each character sang his/her part. Prostitution is evil right? And yet, Fantine, she would do ANYTHING for her daughter. So she became a prostitute. Does this make her evil? Nope. I think there is a special place in heaven reserved for Fantine. That is a mother's love. I felt it. I felt for Fantine. Javert, a man of God and a man of justice. Is he really the villain? Jean Valjean. A thief. A savior to Cosette, Fantine and to Marius. Aren't we all sinners? Where does mercy come into play? Les Miserables is the perfect story that asks and sings all the right questions. I loved every minute of that movie. This is what a perfect movie looks like. I'm 24. This blog is dedicated to all my fans out there. Follow it. Live it. Love it. Life isn't easy. I'm just figuring some of this out myself. Hop on board.